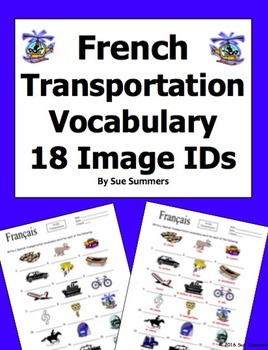 French Transportation Vocabulary 18 IDs - Le Transport Students write a French transportation vocabulary word under each of the 18 clip art images. This item can then be used for reference, as a study guide or students can cut apart the pictures and use them as flashcards after writing the vocabulary words on the reverse. The answer key is included. This is great for introducing and reviewing the vocabulary! 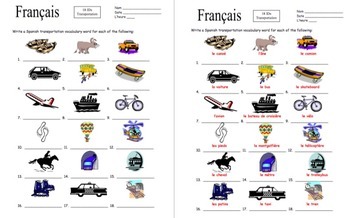 Please click here to see more of my French vocabulary IDs materials.